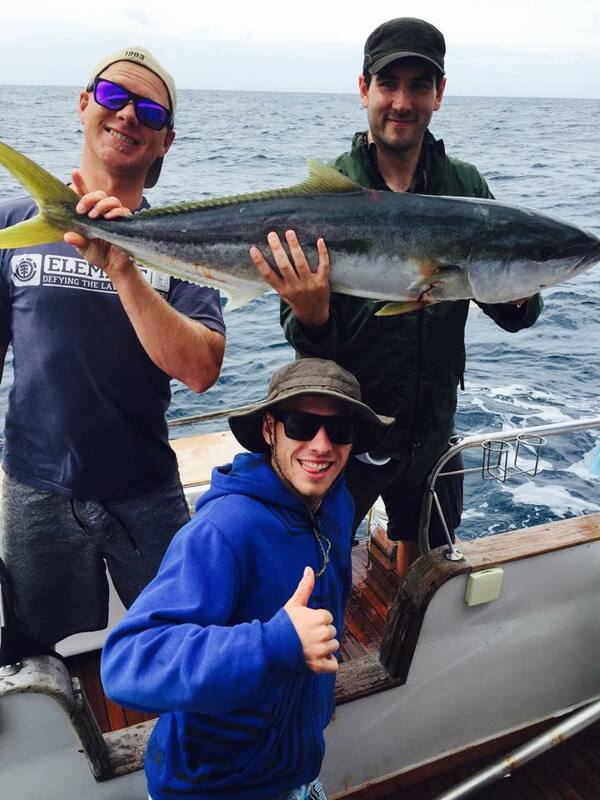 Fishing is a passion for all members of the DoubleRum Fishing charter crew and with over 18 years in the fishing business we’d like to think we have some good knowledge! 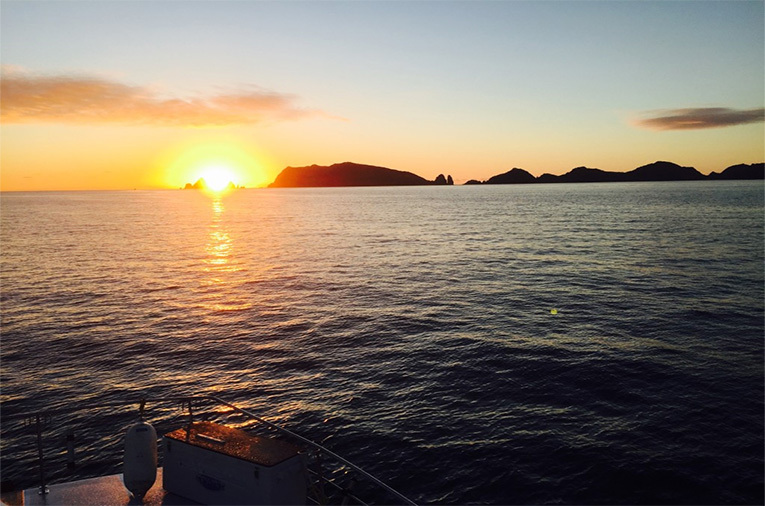 Our vessel is based at Gulf Harbour marina, Whangaporoa where we depart for our fishing charter adventures. Due to the size of our boat we can fish 12 people comfortably on the drift, but our fishing trips can be organised for a maximum of 15 people. 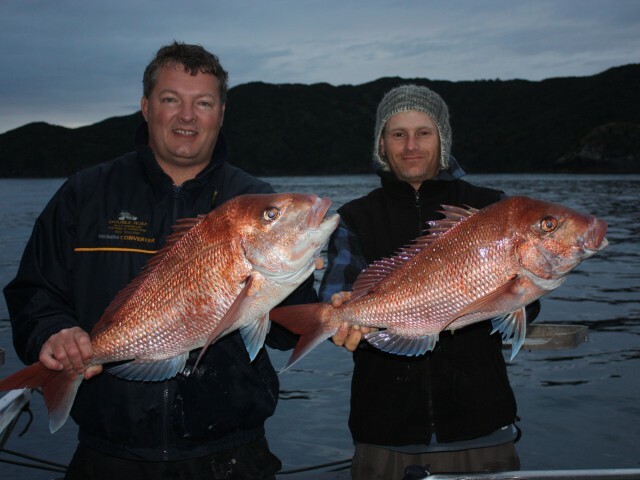 We mainly fish the outer reaches of the Hauraki Gulf, in the 55-60 meter mark, but we also have a few secret spots we head out to on our fishing charters a little bit closer. Our trips are generally 8 hours long, where we often enjoy some freshly caught lunch in between. For all of our Auckland Fishing charter trips we supply the bait, rods, ice, berley and tackle plus a few hands to help out. 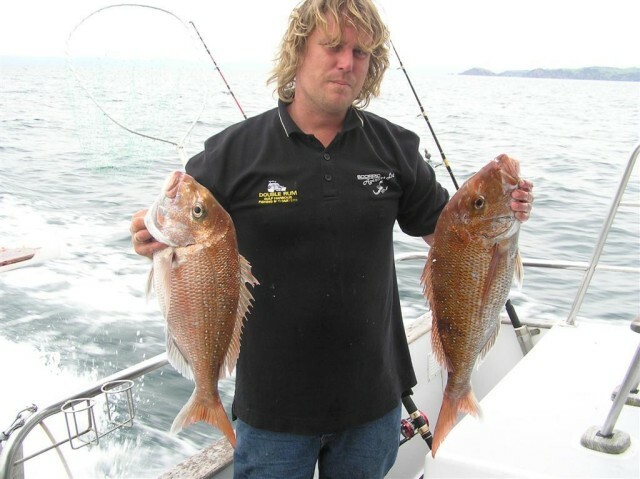 The main species we target are Snapper, Gurnard, skip jacks, kingfish, kahawai and hapuka when in season. Our specialised fishing charter trips for Marlin/Broadbill or Tuna fishing/tagging are always a blood pumping experience. 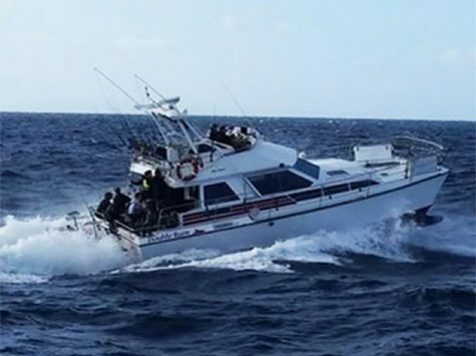 Double Rum is a luxury Auckland fishing charter boat with four double cabins, DVD plasma screen for movies and a loud stereo system. There is a BBQ and fully equipped gallery on board with huge chillers. Our new, specifically designed game chair, developed by Coastal Marine Stainless Steel with 360 degree views, gives us huge potential for spotting the big ones creeping up into the wake. We are prepared, locked, loaded and ready to go. Lines are tight so lock us in now for your next party! 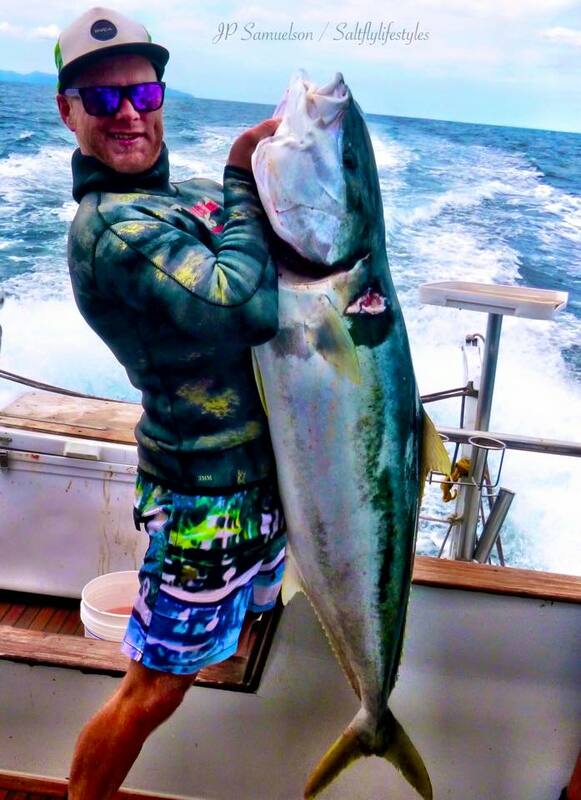 Check out our rates page for more information on each of our Auckland fishing charter services, or contact the DoubleRum crew to book! 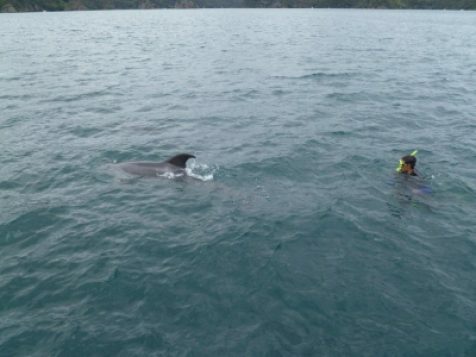 Our diving charters offer you an experience to explore the unique marine life of New Zealand. Because of Brett’s experienced skill’s as a diver (35 years now!) we are able to customise our diving trips to suit you. Cray, cave, night and wreck diving are just a few of his specialties. JP, another member of the diving crew, often brings his speargun on trips to catch some delicious kingfish steaks for lunch. 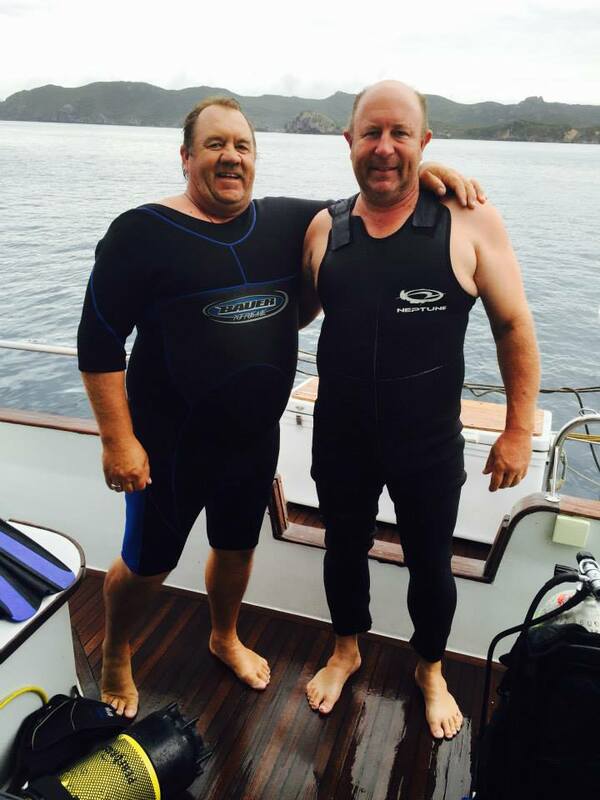 Diving charters usually take place out around Great Barrier, Coromandel and the Mokes, for 1-2 days. The four luxurious double cabins aboard DoubleRum have enabled us to do some pretty amazing fishing charter trips in the past years. We can take a maximum of 5/6 people for 1-2 night stays. If you require longer give Brett a call to discuss options. We do just about anything on these overnight boat trips, from sight seeing to marlin fishing, Hapuka fishing to cray catching. Regardless of what these fishing charter trips are about, we always leave the boat with some awesome memories and new mates. Winter Update: The visibility at Great Barrier is outstanding at the moment, close to 90 feet, and the water is still warm. We will be doing two night visits with 5 divers living aboard to make the most of the crystal clear water around Catherines Bay and Arid Island. Contact us to secure a spot soon! We can take a maximum of 22 people on any of our cruising charters. We love going up to Kawau for a day visit to Mansion House Bay, or Vivian Bay or also across to Waiheke Island. For evening Boat trips we recommend an onboard barbecue at TiriTiri Matangi and a walk at dusk up the native tree lined tracks. We can pick up from Downtown Auckland Viaduct, and Bayswater for an extra charge. However, we do prefer pick up from Gulf Harbour at Whangaporoa as this is where we are based. We also have a great stereo system on board which adds to the fun. You will love being on our Charter boat Auckland called Double Rum.